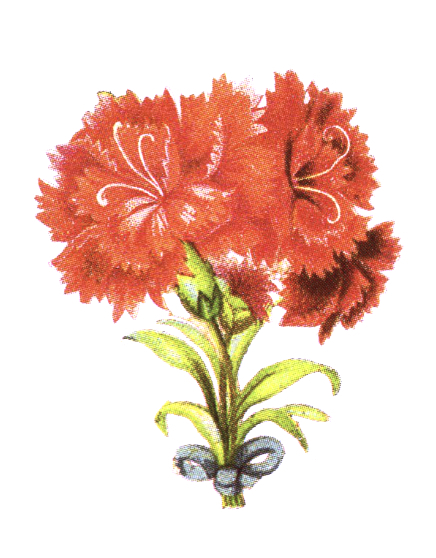 Vintage illustration clipart of a bouquet of red wildflowers. antique floral bouquet image. Clipart created by FreeVintageIllustrations.com Public Domain work.